Blossom Home Refresh is an programme in which youth volunteers are presented with the opportunity to freshen up the homes of elderly with brand new coats of paint and a great deal of spring cleaning. 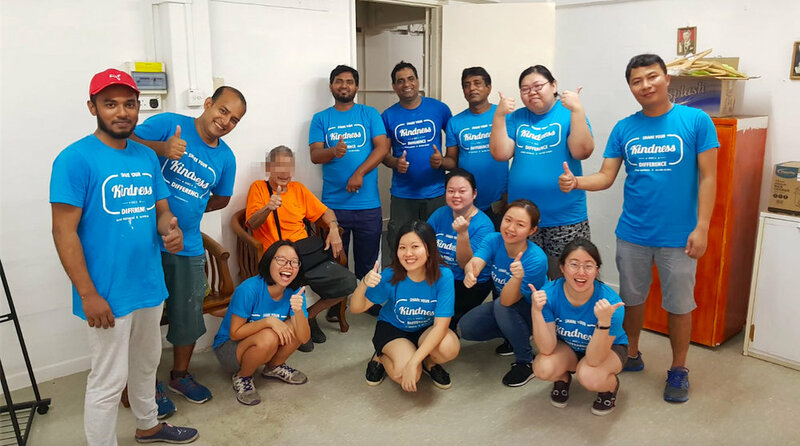 What’s even more special is that other than physical acts of painting and cleaning, they also look to foster meaningful interactions with the elderly to brighten up and revitalize their lives. Here are some responses from them. Q: How do you feel about the new look of your house? Very good! I like it a lot! The youths (volunteers) did a good job- the house looks very clean and refreshing after a fresh coat of paint. Now, Nenek feels very happy and contented. Really very thankful to the volunteers. Q: How do you feel about the youths and is there anything you would like to say to them? Thank you very much. All of them did a good job! I am very happy to see them. Q: Are there any actions that touched your heart on that day? Oh yes! I’m very touched when you guys treat me to lunch and accompany me to eat. The volunteers cleaned up my house until it is spick and span. I feel very happy when I see how clean it is. I’m 82 this year. I’m old. In the past, I had no answer to the dirty state of my house. My house is infested with bedbugs. Whenever I see them, I will squash them, leaving dark stains all over the walls. Because of this, I have always wanted to paint the walls to cover up the stains. However, it is just too much to ask from an old man like me. I am very thankful to them (the volunteers) for the cleaning job which they had done. Deep inside, I feel very happy. The area which touched my heart greatly is the fact that not only did the volunteers clean up my house, they also made the effort to chat and connect with me. This is all that I can wish for. To me, it is perfect, and I am extremely happy and content. Now looking very clean, very white and I like it so much. They(volunteers) are very excellent. Q: Any area of improvement for us? They are very hardworking and humble. Q: Got anything to tell the volunteers? Thank you so much for the kindness work. The volunteer doing a very great job and really in four five hours, they manage to done all the things, paint and clean the whole house, the living room, kitchen and toilet, very excellent. Although there are a lot of people (volunteers) but they very careful of our house, nothing is damage, all very good. They doing a very nice job, I also very happy that we are talking, chit chat, chit chat and have fun also. Q: Is there anything that moves you or any actions that touched your heart on that day? They are very good and very friendly. 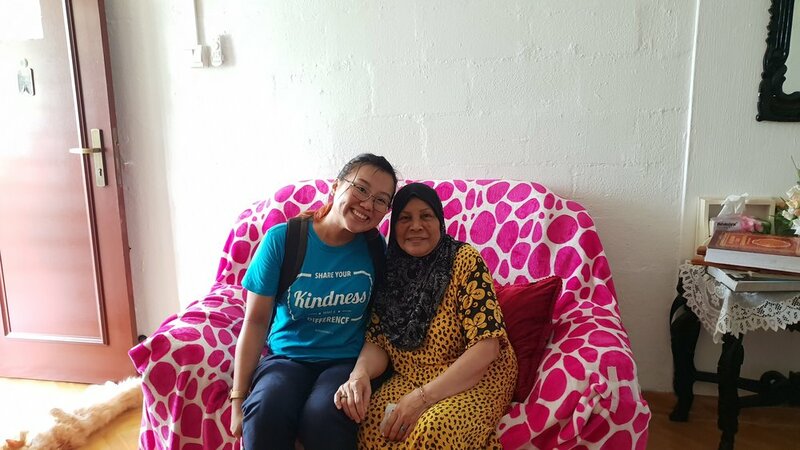 Calling out for more youth volunteers to bring sunshine to the lives of these elderly! Stay tuned to our website for more details!